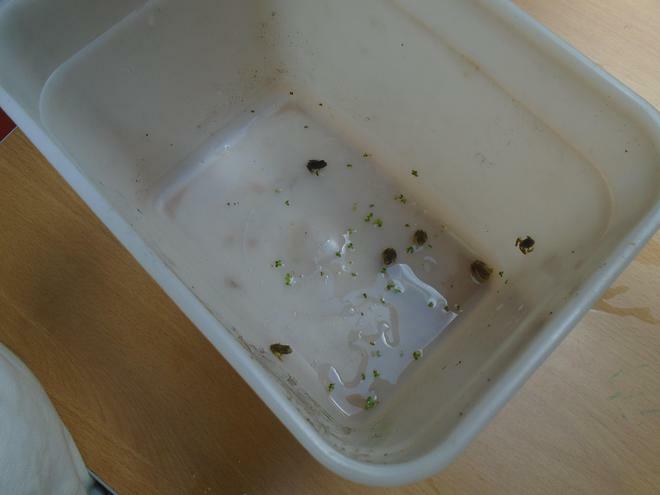 A little while after Class One received our caterpillar visitors, we used some more of our PSA money to purchase a tank so that we could have tadpoles. 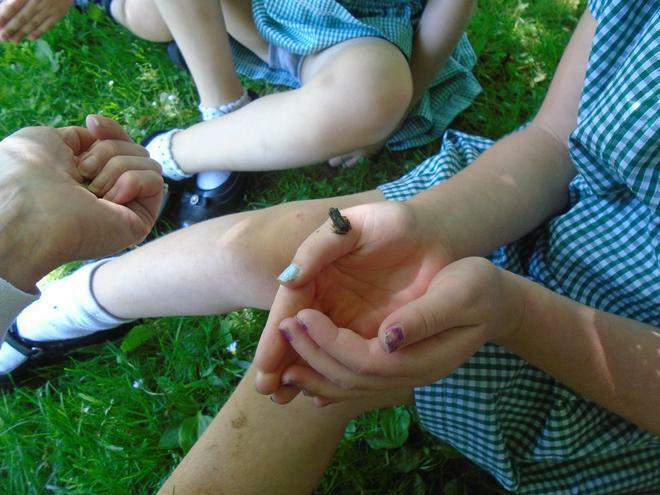 This was to learn about another lifecycle, alongside the lifecycle of a butterfly. 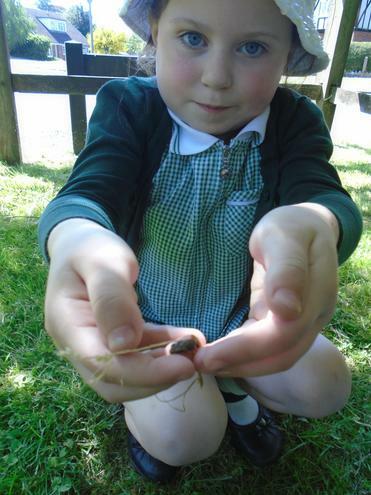 We watched and waited, eagerly observing each stage of the lifecycle of a frog. 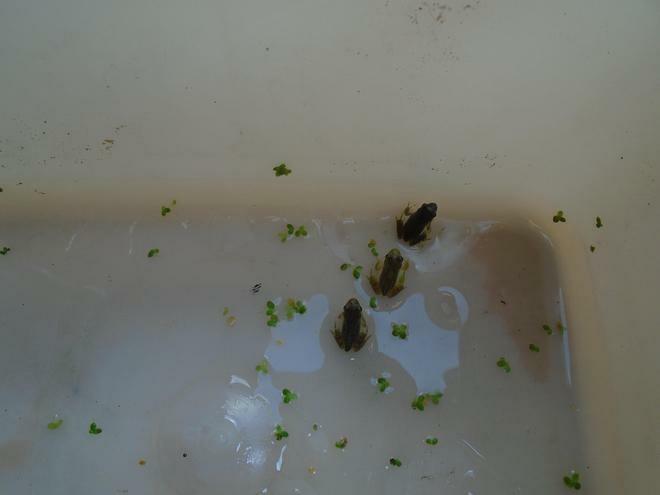 "The tadpoles are much bigger." 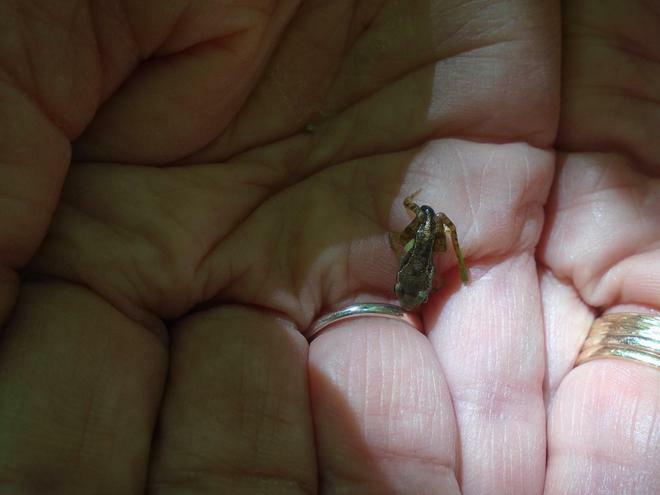 "Some of them have legs." 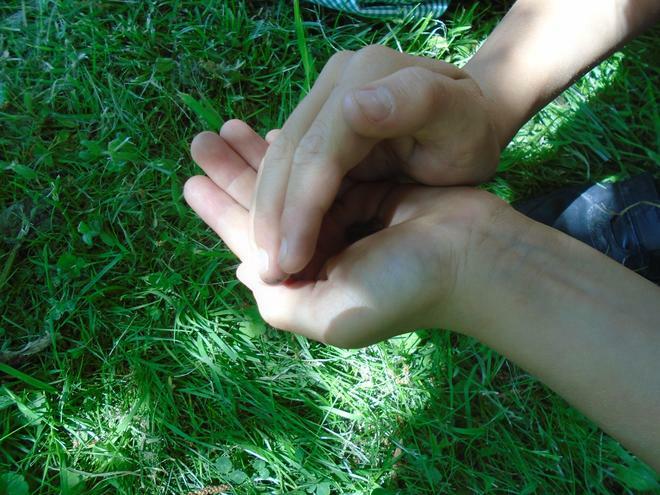 "There is something in the corner. 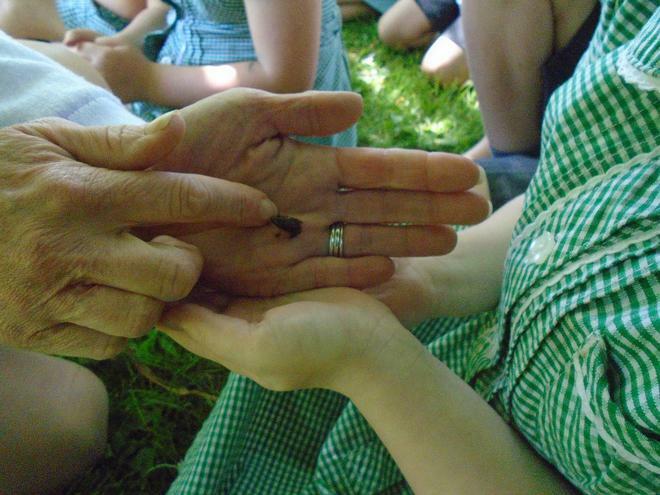 Oh look, it's two frogs!" 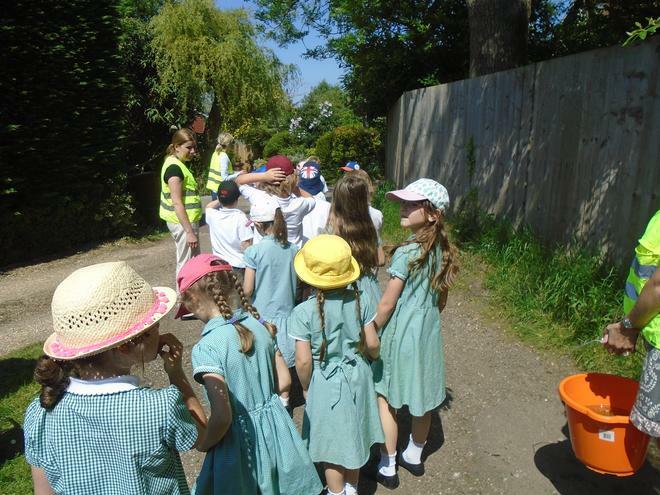 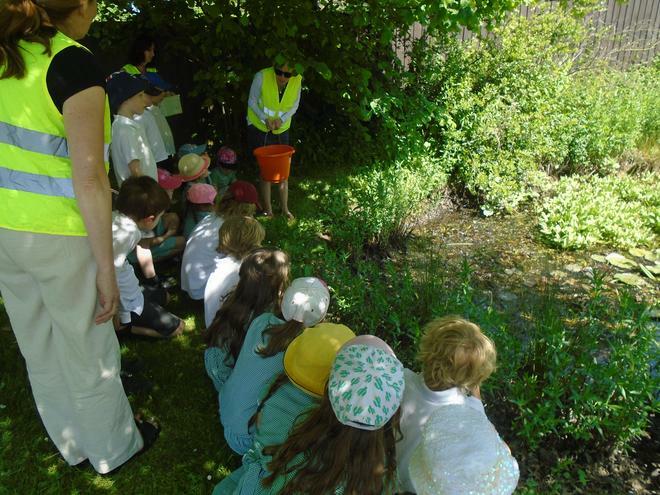 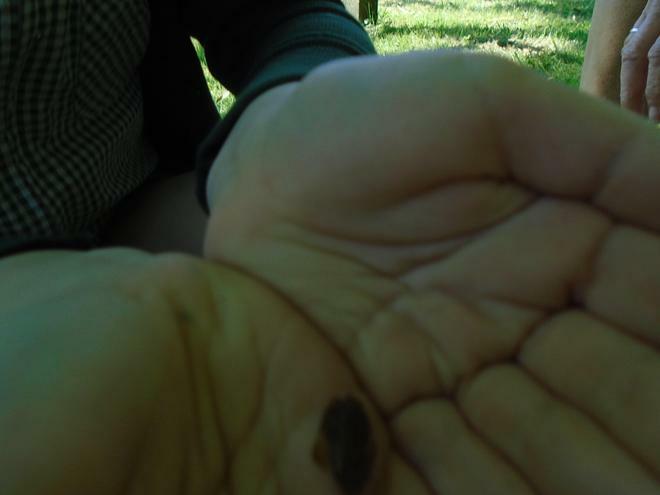 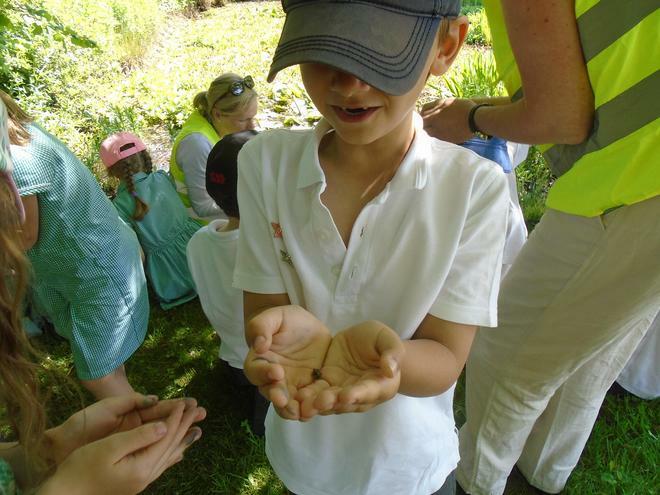 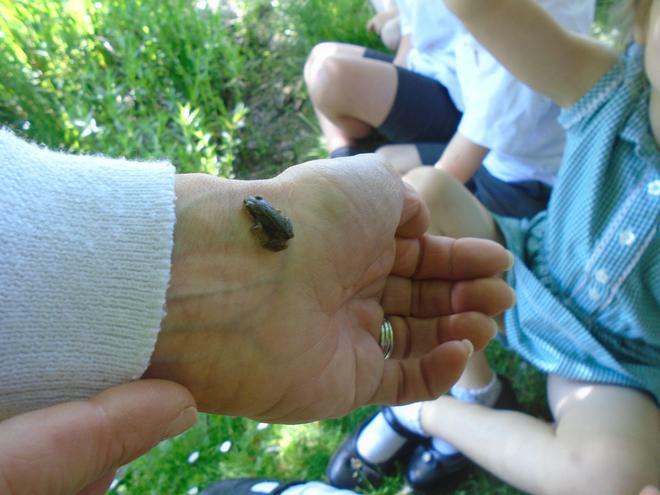 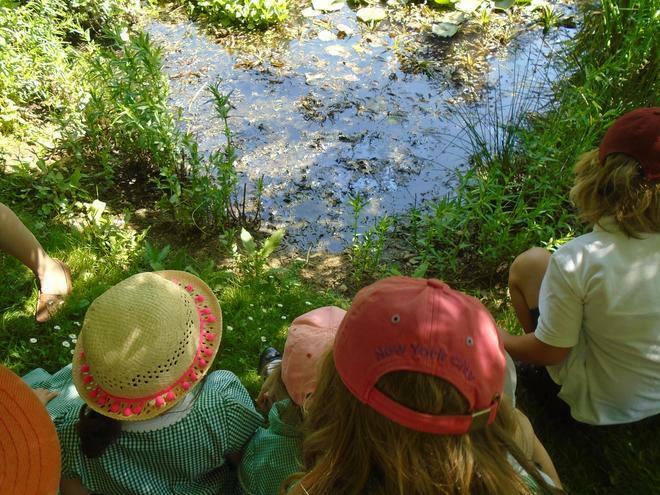 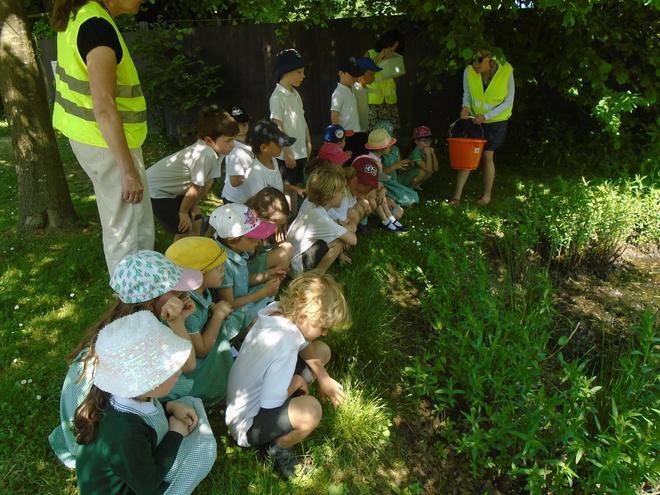 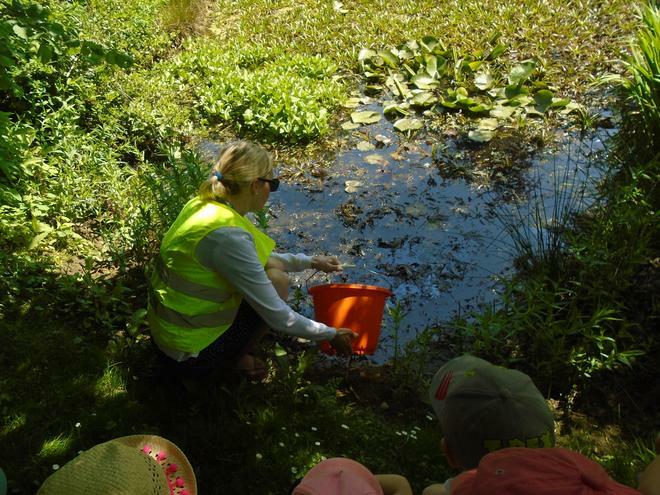 When the tadpoles became froglets, we took a lovely walk to Preston Green to release them into the pond. 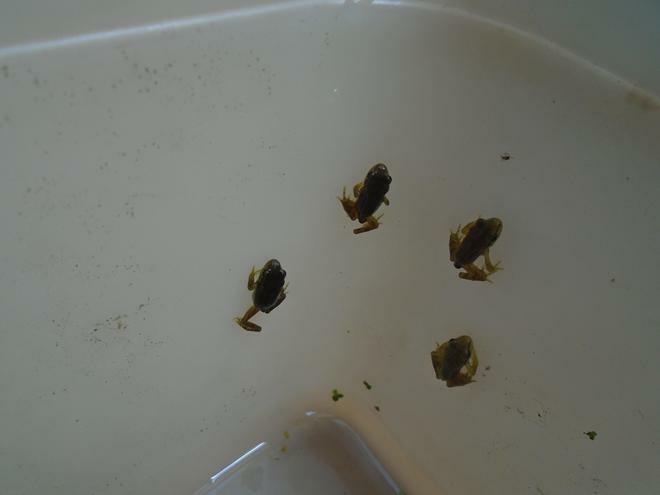 The water had dried up a bit because of the hot weather but we all agreed that the froglets would be much happier here than in a small tank. 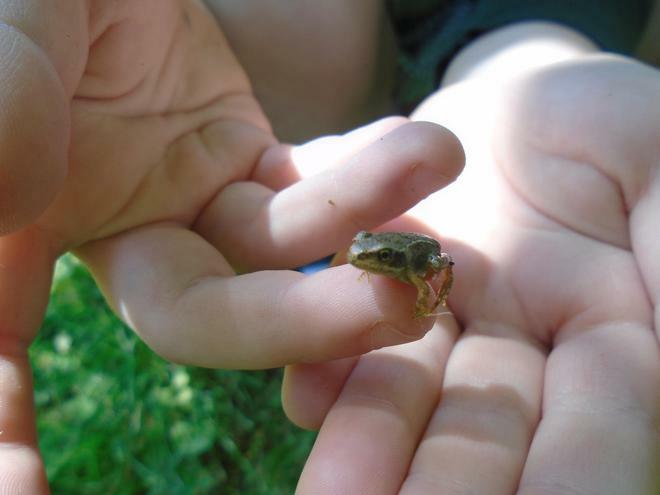 Some of us were able to hold the froglets before releasing them but not for too long as we didn't want them to become dehydrated. 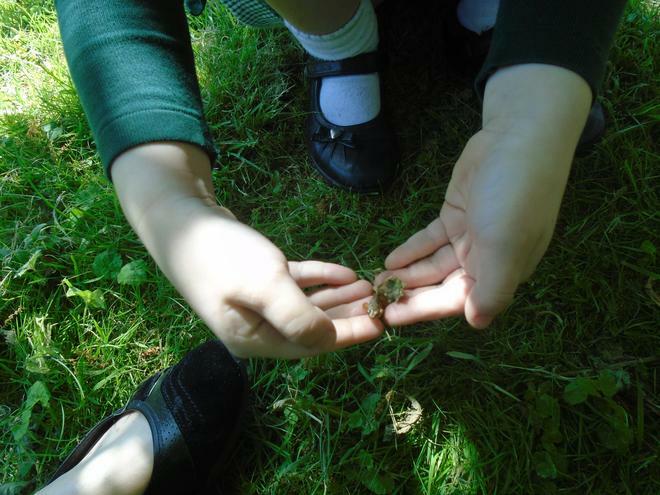 They were very delicate and very 'hoppy'!